MY ‘nom de plume’, The Travelling Gourmet was given to me by my good friend, Mazlan who was the Editor of Drive magazine, when he asked me to start a food and wine column in Drive Travel & Leisure. My column was aptly named: The Travelling Gourmet TM. It was a fly off the shelves super successful magazine available at ALL gas stations nationwide. Later I had to get my ‘nom de plume’ trademarked because there were imposters appearing! People with no original ideas of their own always feel compelled to steal the ideas of others. My lawyer told me, “Once you have your trademark, I’ll sue those who infringe it!” Beware of imposters! As a renowned and respected Travel, Food & Wine Writer he has travelled the world in a relentless pursuit of exotic delicacies and fine wines. He also covers Lifestyle and Golf. His articles have been published in over 20 prestigious publications in the print and electronic media, both local and international. The Travelling GourmetTM is the “Reuters” of lifestyle and gastronomy supplying features to numerous media, both print and electronic worldwide. Dr. Lim has toured and trained in Wine Evaluation & Oenology in many of the world’s top wine producing areas from France to Australia and Austria. The Travelling Gourmet also gives Wine appreciation lectures and Masterclasses by special request. He has been specially commissioned by the Argentinian, Romanian, Spanish, Thai and Italian governments to give Wine lectures and seminars about their respective wines. The Travelling Gourmet is the Food & Wine Consultant to the Thai and Spanish Embassies, respectively. Dr. Lim was the Wine Consultant to the Romanian Embassy. He has also been commissioned by Cathay Pacific Airlines, Turkish Airlines, the Le Meridien chain of hotels, Mandarin hotel and other 5 star hotels to organize & give Wine Appreciation Masterclasses and Dinners. Dr. Lim has also conducted Wine Appreciation talks, Masterclasses and seminars for Singapore’s top wine merchants and prestigious organisations like Massotina, Excaliber, Bisol of Italy, Nardini Grappa (Italy’s oldest and most distinguished Grapparia), Bacardi-Martini, Landmann of Germany, UBS of Switzerland, Le Meridien Hotels and many others. The Travelling Gourmet has also organized and conducted special Wine Appreciation Dinners & Masterclasses for exclusive and prestigious Clubs in Singapore like the Hollandse Club and Raffles Town Club. Dr. Lim was the Special Food & Wine Consultant to The Pines Club which is one of Singapore’s most famous clubs. The Travelling Gourmet has appeared on News Radio 938 and Radio Singapore International which broadcasts worldwide on the internet, to speak on Travel, Food & Wine. Radio Singapore International honoured Dr. Lim with the title of “Singapore’s Travelling Gourmet”. He has also been interviewed live on Mediacorp’s popular Channel 8 show, “Good Morning Singapore” to speak on Food and Wine appreciation. The Travelling Gourmet has also been featured on Channel New Asia. Dr. Lim has been on the tasting and selection panels of several prestigious publications to choose Singapore and Malaysia’s top restaurants. Connaisseur, Romania’s top gourmet food and wine magazine did a special feature on The Travelling Gourmet. He has also been on the tasting and evaluation panel of Singapore’s biggest and most popular retail bakery to help them select their best selling products before they are put out for retail sales. The Travelling Gourmet TM is also a trained and certified Coffee Barista. Dr. Lim has been trained by famed and illustrious experts in the Food, Wine and Hospitality industry including outstanding 3 Michelin star Chefs. The Travelling Gourmet has also given Cooking demonstrations and classes for Le Creuset of France (France’s top cookware company used by many professional chefs) and Scanpan of Denmark (Europe’s largest manufacturer of pressure cast aluminium cookware). He has also given cooking and wine shows on RazorTV of Singapore which is Singapore’s first online TV service. 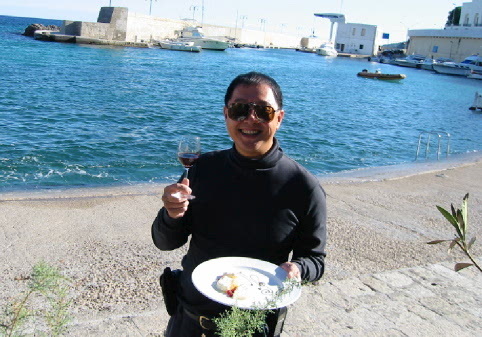 Dr. Lim has served as Food & Wine Consultant to Tourism Malaysia & was a Wine Judge at the Alsace meets Asia Culinary Challenge 2004, 2005 & 2006. Dr. Michael Lim has served as a Wine Judge at the prestigious Concorso Enologico Internazionale International Wine Competition – Vinitaly in 2005 and 2006 held in Verona, Italy. The Concorso Enologico Internazionale is the world’s largest wine competition while Vinitaly is the world’s largest exhibition of wines and spirits. The Travelling Gourmet was also sent by the Italian government to cover Vinitaly 2014. Dr. Lim was also a Wine Judge at Vinexpo 2006 in Hong Kong. The Travelling Gourmet was also a Wine Judge in Italy’s prestigious National Competition Charme Sommelier 2008 organised by AIS (Association of Italian Sommeliers). Dr. Lim was a Judge at the Marriott Cocktail Competition 2010. The Travelling Gourmet was the official journalist and consultant to the Italian Chamber of Commerce in Singapore Certification Italian Wine Course 2010. The Travelling Gourmet was the Contributing Editor to “Eat Me!” The Singapore Food & Entertainment Guide. Dr. Lim is an Editor for the international Dining guide Chef Moz, and also writes for the famous ZAGAT international Food, Restaurants, Hotels & Airlines Guides. The Travelling Gourmet created the gastronomy section of Affluent magazine and was the Gastronomy & Wine Editor, the top regional magazine for very high net worth individuals at that time. The Travelling Gourmet was the Consultant and official journalist to the 1st Grand Gourmet Summit in Dubai in November 2005 held in the Grand Hyatt Dubai. Dr. Lim was a finalist in the prestigious World Gourmet Summit Awards of Excellence Mont Blanc Food Writer of the Year Award 2011, 2012 & 2014. The Travelling Gourmet was the first gourmet in the world to pair mooncakes and wines at the Singapore Marriott hotel on August 14, 2003. Dr. Lim was also the first gourmet in the world to match mooncakes and wines live on Mediacorp, Singapore’s National Radio (NewsRadio 938) on August 23, 2003, which was broadcast worldwide on the internet. The Travelling Gourmet was also the first gourmet in the world to match Durian with wine at the Singapore Marriott on July 16, 2004. In 2005, The Travelling Gourmet was the first gourmet in the world to match Ice Kachang, Singapore’s national dessert with wine. Dr. Lim was also the first gourmet in the world to organize and conduct a special Wine Appreciation Dinner inside the historic Battle Box Museum in Singapore in 2005. On 4, August, 2006 Dr. Lim was the first to match authentic Teochew cuisine with wines in Teochew City restaurant. On 19 August, 2006, The Travelling Gourmet was the first to match Penang cuisine with wines in the Millennium Copthorne King’s Hotel. On 28 August, 2008, The Travelling Gourmet was the first gourmet in the world to match Mooncakes with Champagne in The Singapore Flyer, the world’s largest and highest giant observation wheel. The special event was called “Fly to the moon with The Travelling Gourmet” On 28, August, 2008, The Travelling Gourmet was also the first to perform his trademark “Sabre a Champagne” at The Singapore Flyer as the only Chevalier of the Confrerie du Sabre d’Or in Singapore at that time. Dr. Lim is also a member of the exclusive OSS Society. Dr. Lim has also appeared on Razor TV to do a series of cooking shows featuring his original recipes as well as shows on wines & food. Razor TV is Singapore’s first online television service owned by SPH, the publishers of Singapore’s national newspaper, The Straits Times. A very good friend to many famous Chefs around the world like Philippe Legendre, Alain Soliveres, Paul Bocuse, Anne-Sophie Pic, Angelo Sabatini, Tetsuya, Anton Edelmann, Alfred Buxbaum the Executive pastry Chef for the renowned Sacher-Torte of the Hotel Sacher in Vienna, Ferran Adria, Wayne Hirabayashi, Michel Roux, Thomas Bühner, David Thompson, Heinz Beck of La Pergola in Rome, Raul Balam of Barcelona, Antonella Ricci, Marco Pierre White, Hubertus Real of Leichtenstein and Martin Yan, Dr. Lim is known as “Der reisende Feinschmecker” in Austria, Germany and Switzerland. The Travelling Gourmet has also graduated from special training courses on Oenology, Wines and Cuisines at the world famous Culinary Institute of America (CIA), the world’s premier University of the Culinary Arts, the Harvard of Haute Cuisine. He has also undergone special intetraining by many renowned 3 Michelin star chefs. The Travelling Gourmet has trained at The Thai Cooking School of the famous Oriental Hotel in Bangkok & Chiangmai. Dr. Lim has trained in Balinese cuisine at the celebrated Bumbu Bali School of Balinese cuisine under Chef Heinz von Holzen. He has also trained with Chef Marc Chalopin of Le Cordon Bleu Paris & at LeNotre Culinary School in Paris. Dr. Michael Lim has also undergone special culinary training by Chef Philippe Legendre of the 3 Michelin Star Le Cinq restaurant in Paris. Also trained in Vietnamese cuisine by the Executive Chef and of the superb Hyatt Regency Danang, Vietnam. Also special training in Vietnamese cuisine by the Chefs of the Caravelle in Saigon. The Travelling Gourmet is also a certified Coffee Barista, and has had special training in French Patisserie by Chef Felicien. 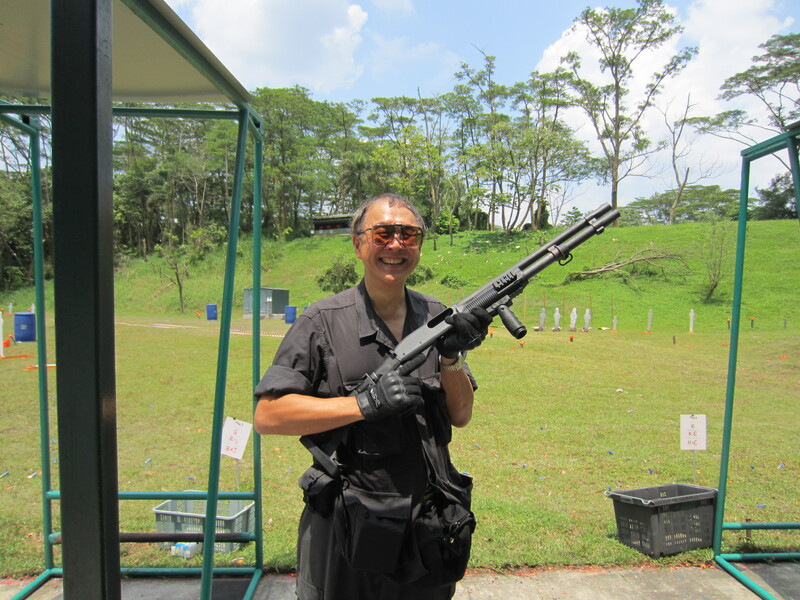 Dr. Lim is an expert Canoeist, SCUBA Diver, Parachutist, Fencer, Knife Thrower, Archer, Alpine Skier, Golfer, Marksman and Big Game Hunter who is able to communicate in 8 languages. A professional photographer, who was specially trained by the late Pulitzer Prize winning Eddie Adams, he specialises in Travel, Food & Wine photography. My personal motto is: Das Leben es ist unbestimmt, isst erst den Nachtisch! Dr. Michael Lim The Travelling Gourmet was the 1st Chevalier of the Confrerie du Sabre d’Or in Singapore, and the only Chevalier for many years. Simply Italian Great Wines Asia Tour Wine Seminar 21.11.11. With 48,965 readers, you’re one of the most popular reviewers in Venice. Keep those great opinions coming. This entry was posted in Art, Fabulous Food and Gorgeous Drinks, Gorgeous Wines!, Gourmet cuisine, Hobbies, Let them eat Cake..., Nobody's perfect..., Philosophy, The Travelling GourmetTM cooks..., Travel, Voyages and tagged Dr. Michael Lim is The Travelling GourmetTM, Have pen will travel, The Travelling GourmetTM, Top 1% of Tripadvisor reviewers, Tripadvisor. Bookmark the permalink.